Astronomers are set to scan an 'alien' comet for signs of extraterrestrial technology. 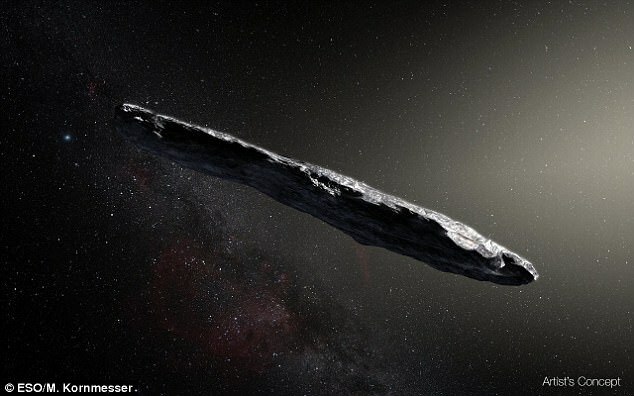 The cigar-shaped asteroid, named 'Oumuamua by its discoverers, sailed past Earth last month and is the first interstellar object seen in the solar system. This first interstellar visitor has stunned researchers because mot only its shape is very weird but also its trajectory. A team of alien-hunting scientists, led by Russian billionaire Yuri Milner, will scan the comet this week before it sails beyond the reach of Earth's telescopes. They say they are looking for radio signals, claiming the mysterious visitor could be an alien spaceship. The alien-hunting project will use the Green Bank Telescope in West Virginia for its investigation, with the campaign set to begin at 3:00pm ET (8:00pm GMT) on Wednesday. The telescopes sensitive equipment would would take less than a minute to pick up something as faint as the radio waves from a smartphone, according to the Atlantic. 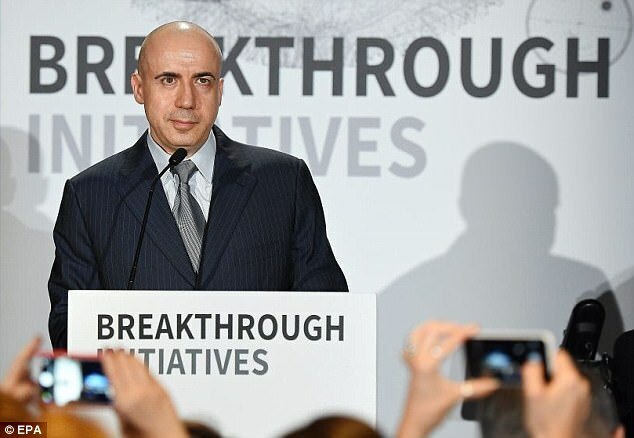 Yuri Milner, the business mogul behind Breakthrough Listen, a $100 million (£75m) search for intelligent extraterrestrial life, received an email about the object last week from one of his chief scientists. 'The more I study this object, the more unusual it appears, making me wonder whether it might be an artificially made probe which was sent by an alien civilisation,' Professor Avi Loeb, the chair of Harvard's astronomy department and one of Milner's advisers on Breakthrough Listen, wrote in the email. Professor Loeb said the space rock's peculiar elongated shape is odd for a common space rock but ideal for a ship flying between star systems. Breakthrough Listen has now announced the program will scan 'Oumuamua this week for signs of radio signals. 'Researchers working on long-distance space transportation have previously suggested that a cigar or needle shape is the most likely architecture for an interstellar spacecraft, since this would minimise friction and damage from interstellar gas and dust,' the research firm said in a statement. The object is now twice the distance between Earth and the sun from our planet, but even at this range the Green Bank Telescope can pick up the slightest signal. Milner and his team want to measure the object before it extends beyond the reach of Earthbound scanning equipment. The object will fly past Jupiter next year, and will hurtle beyond Pluto by the 2020s. 'Whether it's artificial or not, we will definitely know more about this object,' Milner told the Atlantic. 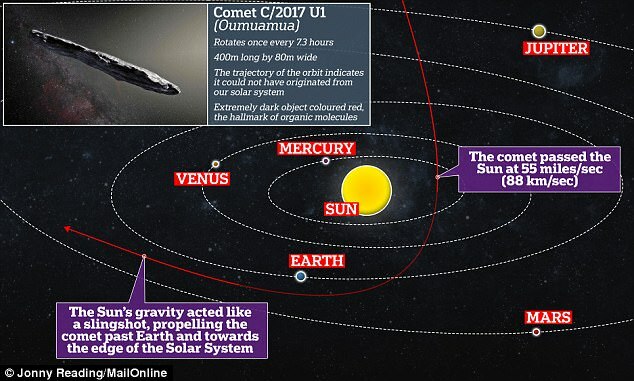 Oumuamua, also known as Comet C/2017 U1, baffled scientists when it flew past Earth at breakneck speed in November. It was first spotted by a telescope in Hawaii on 18 October, and was observed 34 separate times in the following week. Travelling at 44 kilometres per second (27 miles per second), the comet is headed away from the Earth and Sun on its way out of the solar system. The comet is up to one-quarter mile (400 meters) long and highly-elongated - perhaps 10 times as long as it is wide. That aspect ratio is greater than that of any asteroid or comet observed in our solar system to date. But the comet's slightly red hue — specifically pale pink — and varying brightness are remarkably similar to objects in our own solar system. While its elongated shape is unusual, it may provide new clues as to how other star systems in the universe formed. The observations, part-funded by Nasa suggested this unusual object had been wandering through the Milky Way, unattached to any star system, for hundreds of millions of years before its chance encounter with our star system. 'For decades we've theorised that such interstellar objects are out there, and now – for the first time – we have direct evidence they exist,' Thomas Zurbuchen, associate administrator for Nasa's Science Mission Directorate in Washington, said in a statement in November.